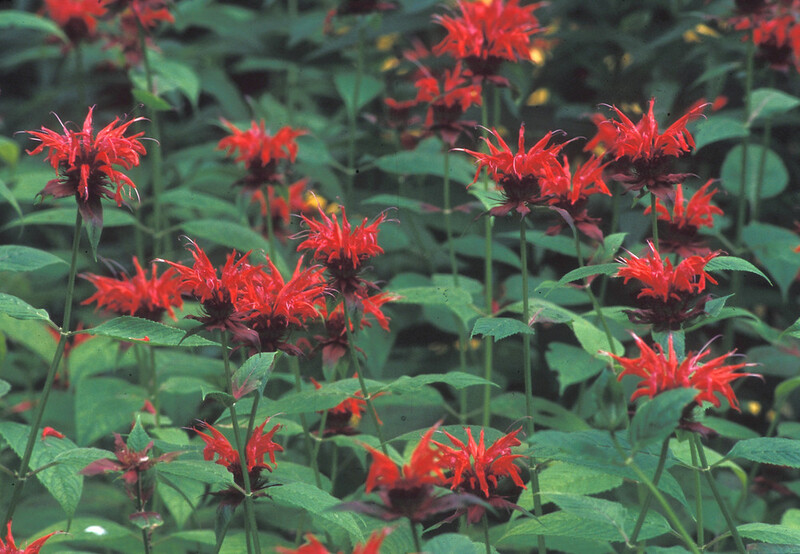 Scarlet bee-balm is native to eastern North America, but it is considered introduced in New England. 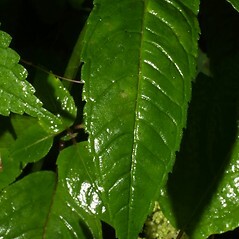 It is often cultivated in gardens due to being an effective attractor of hummingbirds. 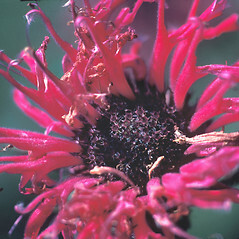 A wide variety of cultivars are available. 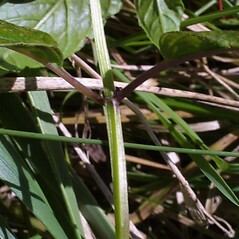 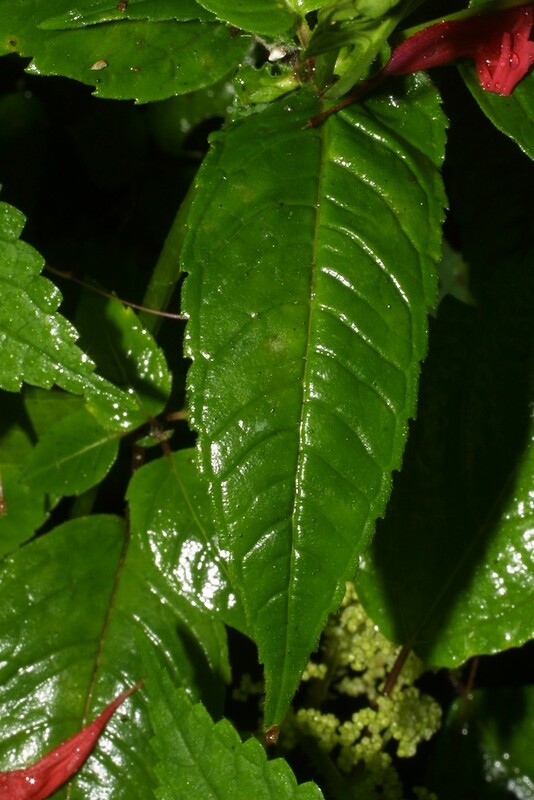 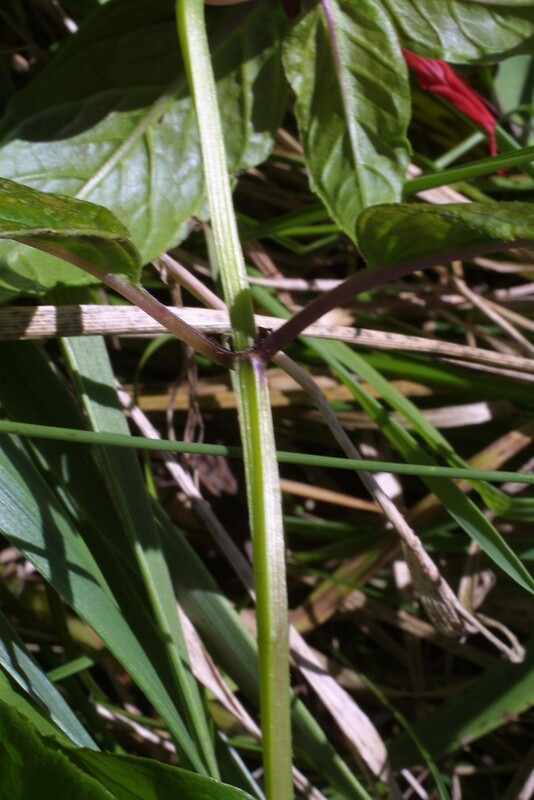 The Cherokee used this plant as a medicinal herb to treat headache, colds, and as a sedative to promote restful sleep. 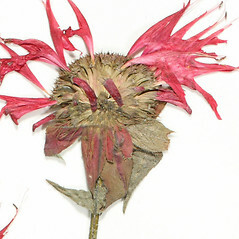 corolla 20-30 mm long, red-purple, and bract blades usually deeply tinged with purple (vs. M. didyma, with the corolla 30–45 mm long, red or rarely red-purple, and bract blades usually deeply tinged with red). 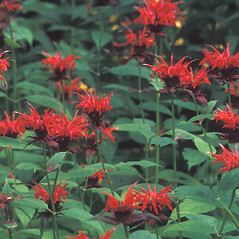 scarlet bee-balm. 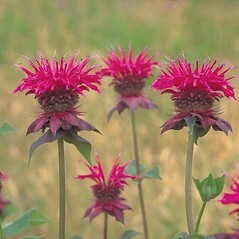 Monarda coccinea Michx. 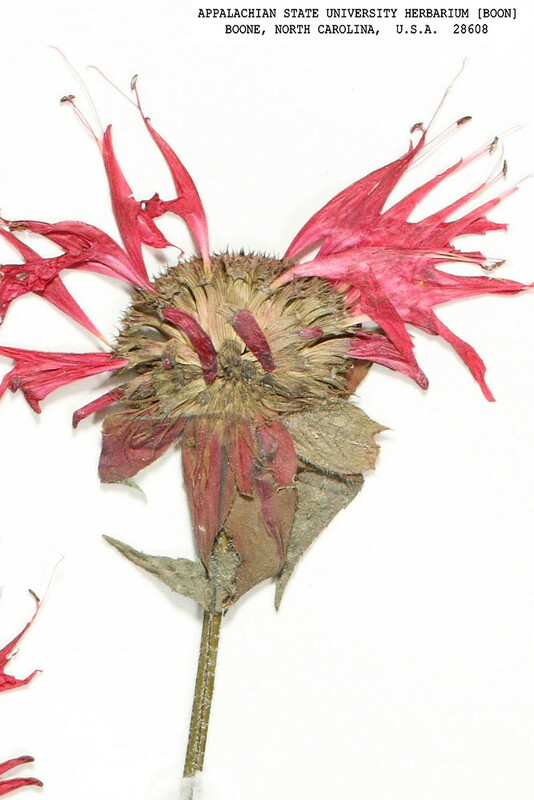 • CT, MA, ME, NH, VT; also reported from RI by George (1997), but specimens are unknown. 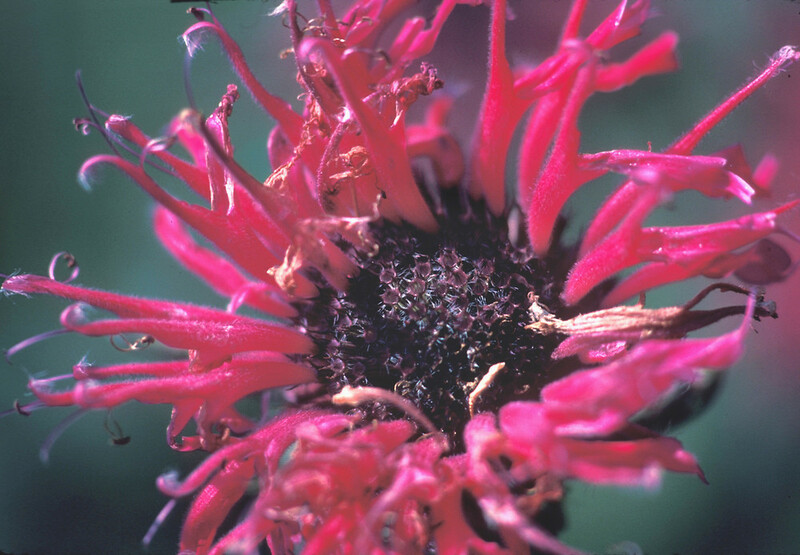 Roadsides, waste ares, gardens, about dwellings. 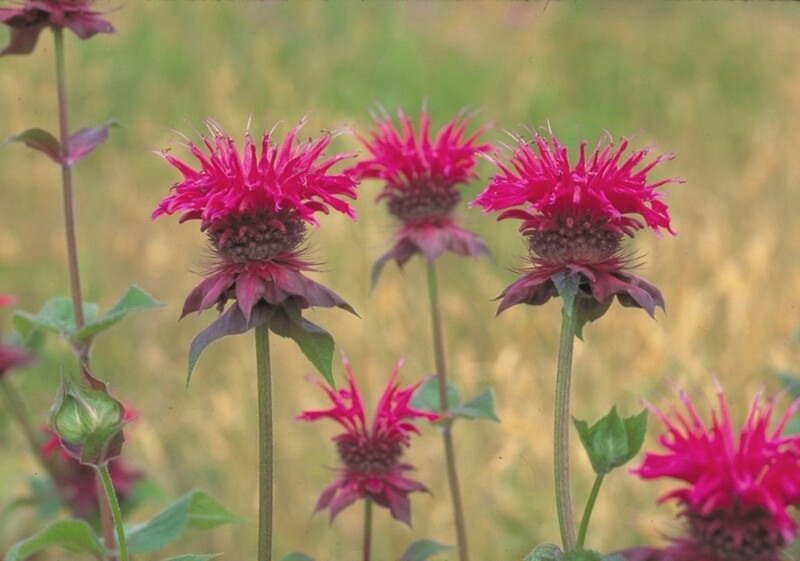 The flowers of Monarda didyma are inodorous as they are primarily pollinated by birds.